Hardenhuish School Sixth Form is part of Hardenhuish School, based in Chippenham, Wiltshire. A high performing sixth form, it currently offers 28 different A-Levels for students to choose from. 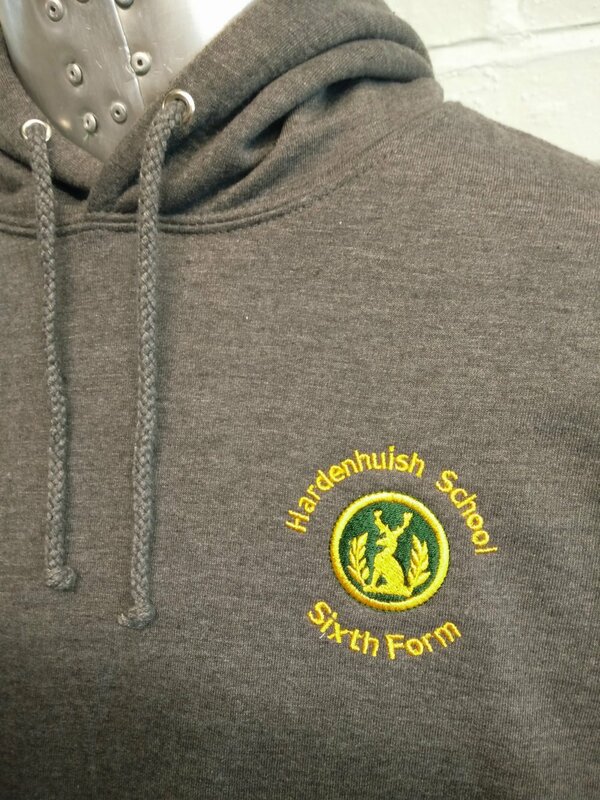 The class of 2016 leavers hoodies for Hardenhuish School Sixth Form feature the school’s logo on the front, with leavers’ names printed in white to make up the number 16, below the word ‘leavers’. 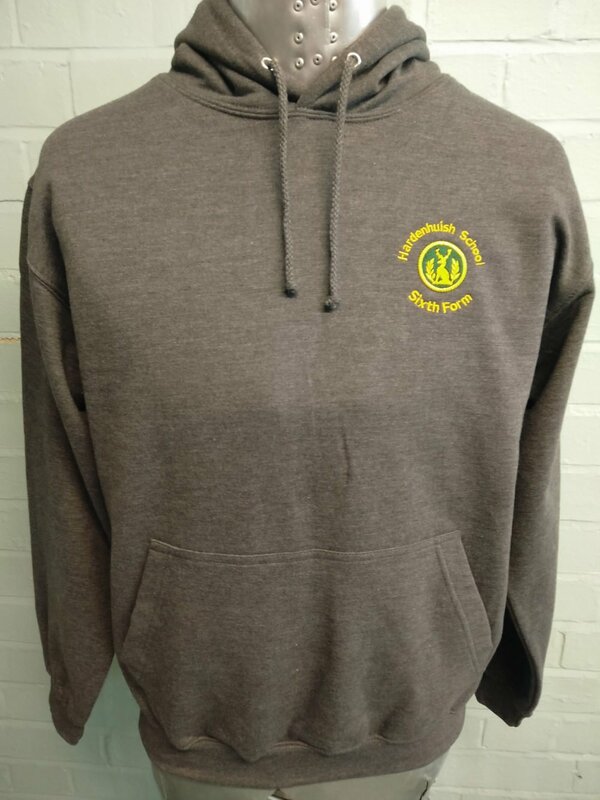 Not only do we have a large range of different styles and colours of leavers hoodies available, we are able to customise them to individual school and college requirements. 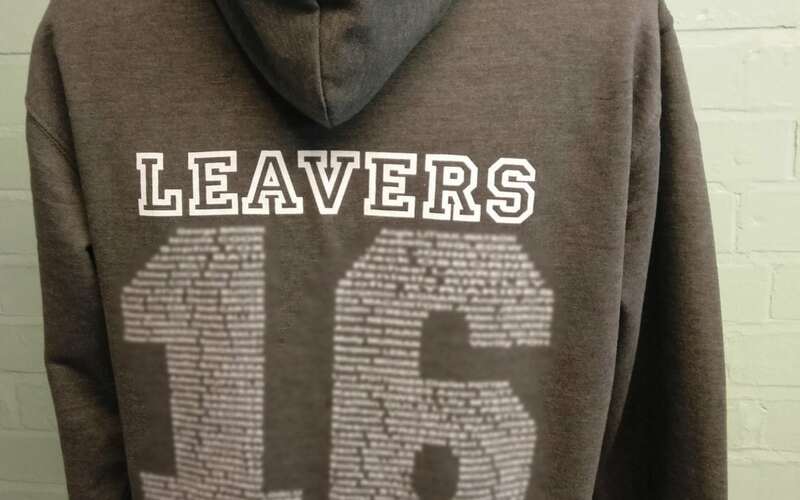 From having names printed to form letters, or to outline letters, to including several different font styles or colours, we can print whatever you like on your leavers hoodies. Likewise, if you have a logo or school emblem that features several different colours, we can embroider this to your exact requirements. To find out more take a look around the website, or call us with any specifications on 01858 461 686.